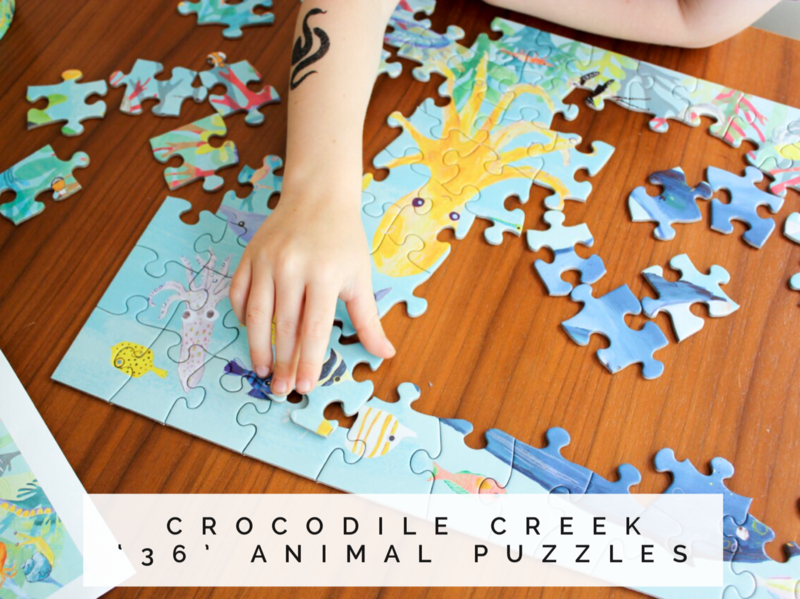 With thanks to Childsmart for providing two Crocodile Creek animal puzzles for review. I have not been paid for this post and these are my own, honest opinions. We love puzzles here at Life on Wallace! The biggest and middle lads were thrilled to receive beautiful Crocodile Creek animal puzzles, each with 36 creatures to assemble. 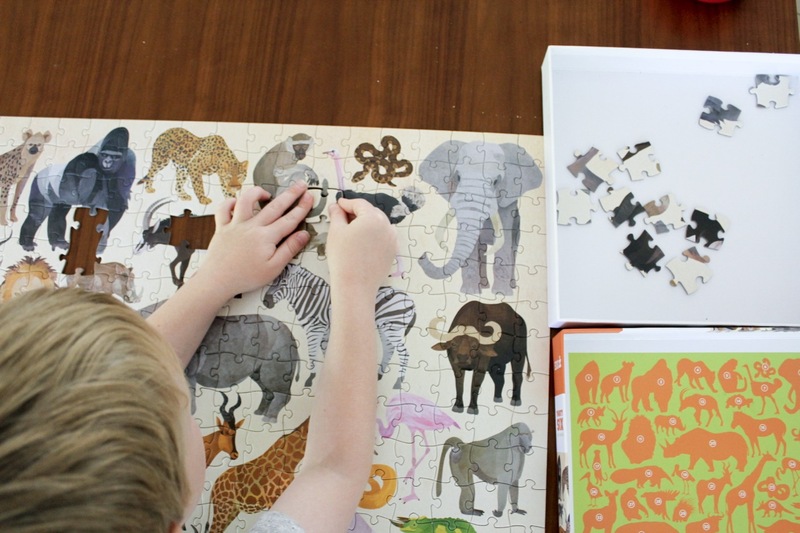 Puzzles provide many wonderful benefits for a child’s development. There’s the physical ability to turn pieces and click them together. Puzzles require lots of brain power, like shape recognition, memory and problem solving. 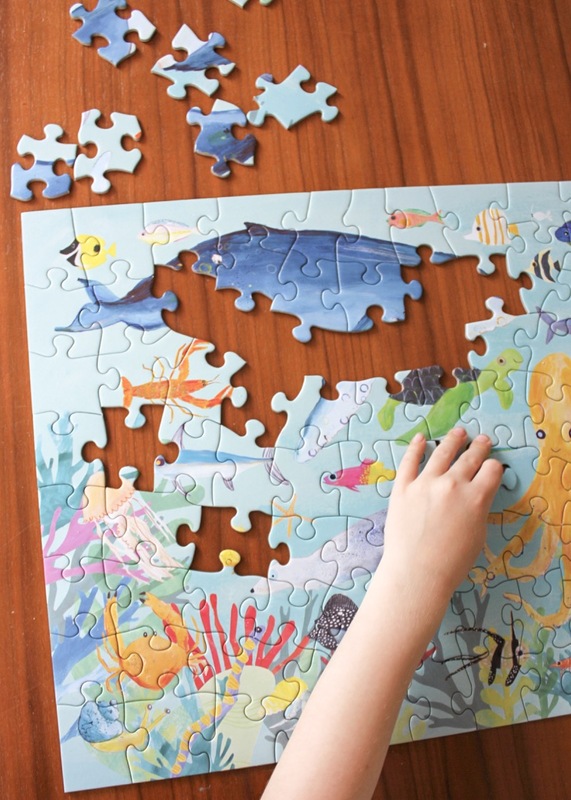 Completing puzzles help develop social skills, including patience and setting goals. With the Crocodile Creek puzzles, the boys were practising all of these skills as well as learning about creatures that inhabit the world. The middle lad’s 100 piece puzzle featured ocean animals. He really focused on making the frame for the puzzle first. He is learning that when the puzzle has 100 pieces you need to have a method to your puzzle making. From there he started to look for pieces for specific underwater animals. The puzzle was certainly a challenge for him but not too tricky that he gave up! One of the interesting things about the ocean animals puzzle is that many of the pieces have rather unusual shapes. The different shaped pieces added to the challenge of the puzzle. The biggest lad’s 300 piece, wild animal puzzle, was a mission! It’s recommended for children who are 8+. The biggest lad is 7 but does seem to have a natural ability for puzzles and it was certainly not beyond him. This was the first time the biggest lad tackled a 300 piece puzzle. To make the task of completing the puzzle less daunting, we completed it together in a few different sessions. Like the middle lad, the biggest lad started with the edges and then worked his way in. His first focus was the more colourful animals, like the crocodile, as those pieces were easier to spot among the mostly brown, grey and black pieces. Both puzzles feature 36 animals from their category. The best part is that both puzzles have a ‘key’ to identify the name of the animal. This came in very handy with the wild animal puzzle. Usually I’d say something like ‘this piece looks like it must belong to that monkey up the top’. I’m not very good with the correct names for all of the primates, or deer! But with this puzzle we were able to use the key and instead I could say ‘try this piece with the Vervet monkey’. We were learning species names as we completed the puzzle. Both boys loved their Crocodile Creek animal puzzles. I personally thought the addition of the ‘key’ for the 36 animals was brilliant! 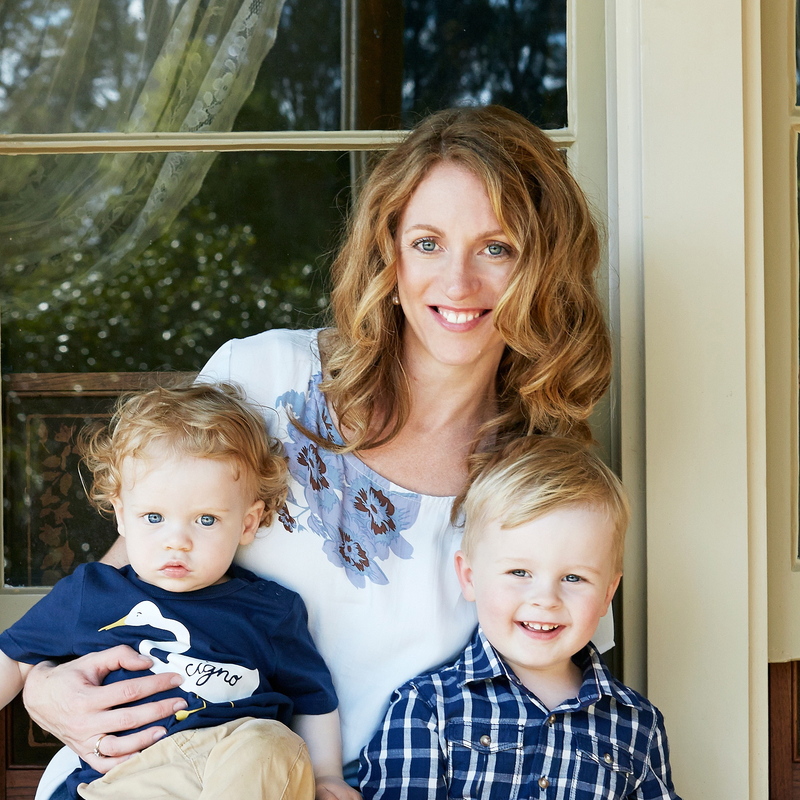 It simplifies identifying the animals by their correct names and also adds another learning opportunity to the puzzle. With Christmas almost here, the Crocodile Creek animal puzzles would make great gifts for the little people in your life. Did you enjoy puzzles as a child? I love a good puzzle. I might get this for my godbabies (they’re not really babies) because we’re taking them to the aquarium for Christmas (gifting experiences not things,) but the puzzle would be a good way to get them excited about sea life!